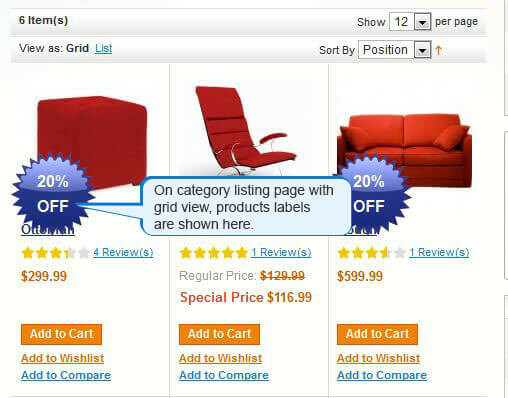 Magento OnSale View Extension helps you attract the potential customers with visually appealing graphical labels about special offers over the specific products. 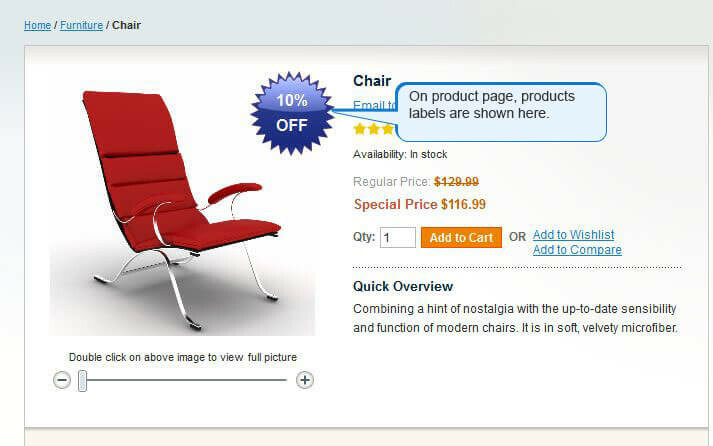 The Magento OnSale View Extension attracts the customer’s attention to your specific products and offers by simply adding visually appealing graphical labels to the product images. The labels can be displayed on the Category as well as on the Product page. 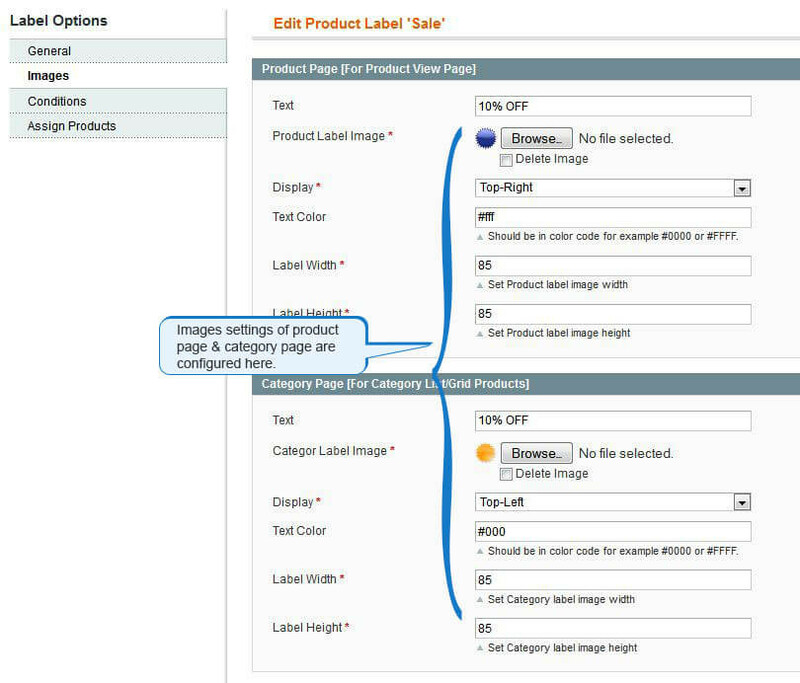 You have the option to customize or upload the label image and text for each product of your own choice or you can choose a label image and text that comes with the software package. 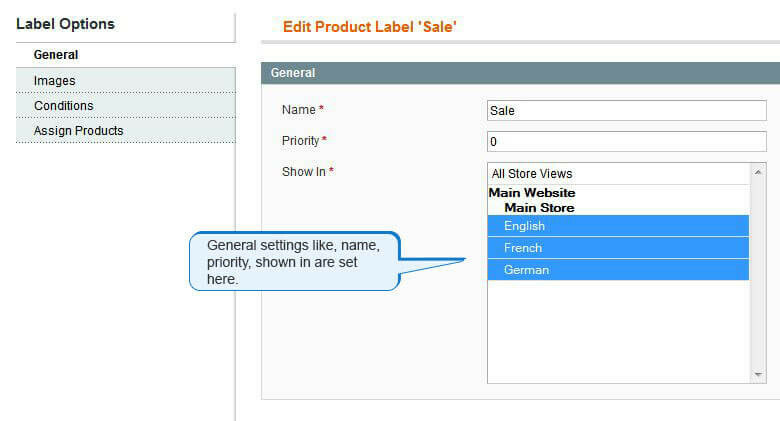 With the help of the On Sale Extension you have the flexibility to define rules based on the product labels. This means you can create countless rules and set various conditions. 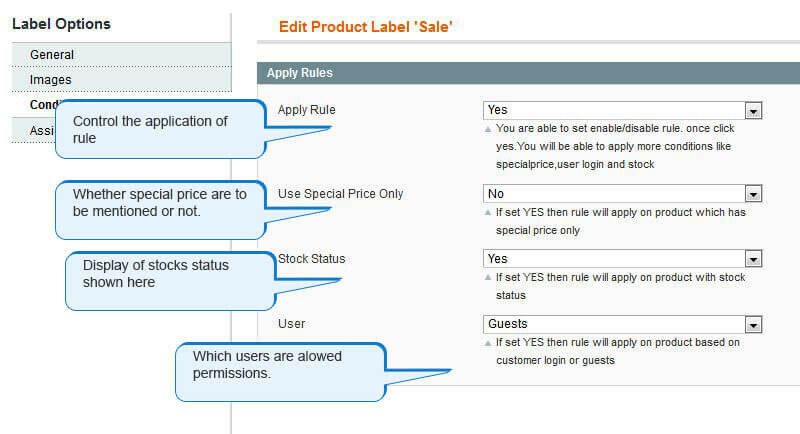 Once the rule is applied and the condition specified under the rule is true, the labels will be applied to the required product. 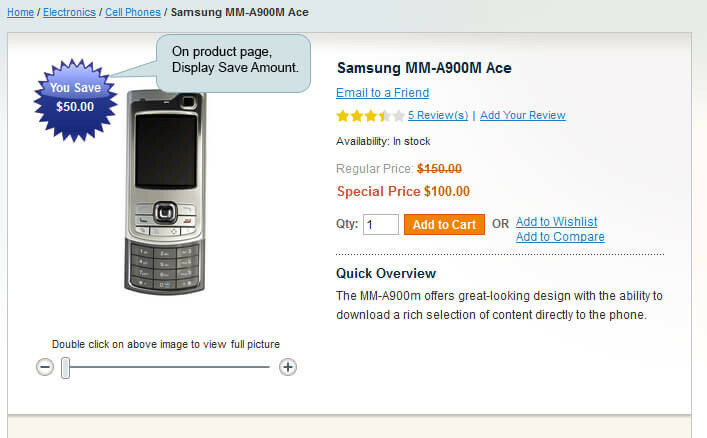 The special type of information can be displayed to grab the customer’s attention with the On Sale Module for Magento. Information like “50% Discount on this item today”, “Free Home Delivery”, “Summer Sale” etc. is extremely useful to attract customer’s interest. The On Sale lightning-fast-3-minute setup helps you put labels on a category and\or product page as well as the whole store. This extension attracts customers who are always interested in the benefits when shopping and try to buy goods with best price thereby increasing your store sales and making a quick promotion of your products. You can make unlimited rules for the label. You can also define the conditions for the rules. The store where you want to apply the rule can be specified. 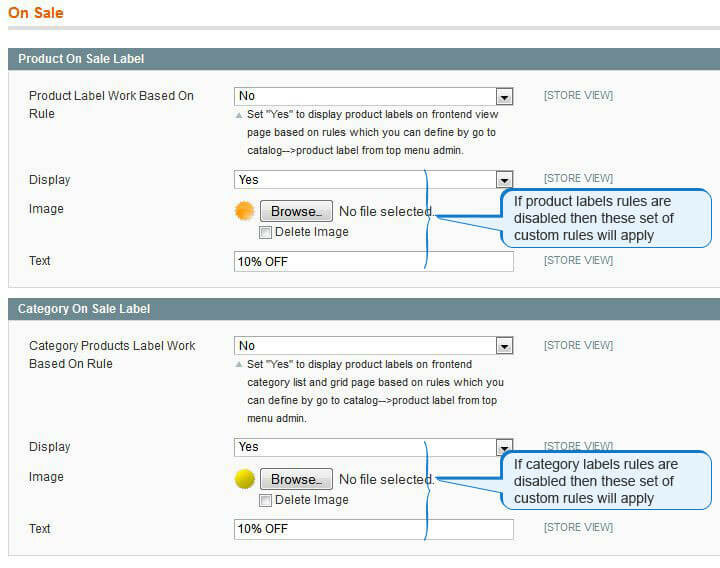 You can select certain groups of customers whom you want to allow to view the rule based labels. You can set priorities for label rules. 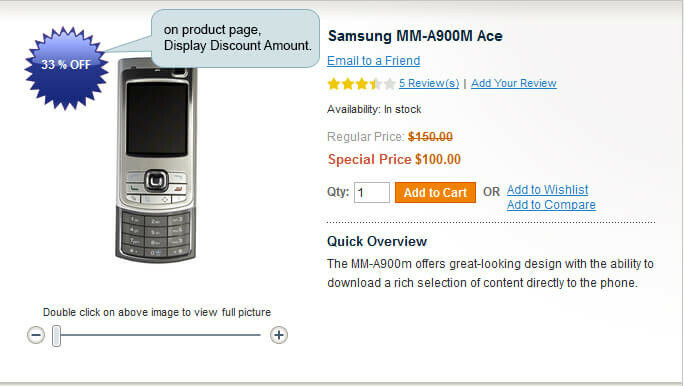 You can also set a limit for the discount threshold when you want the labels to get appeared. 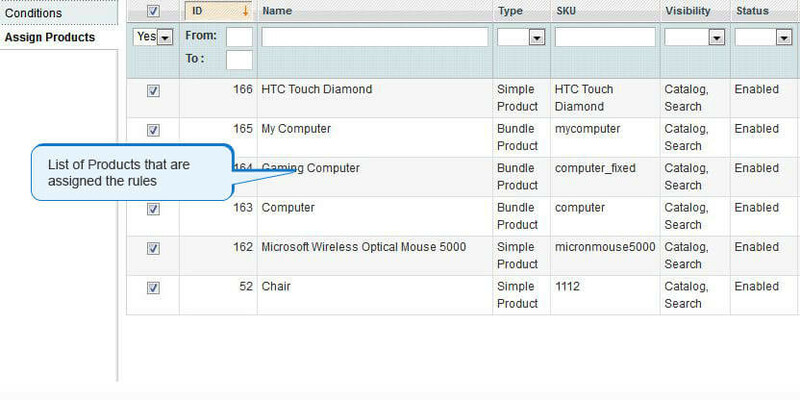 You can also separate the catalog view and product view labels setup. 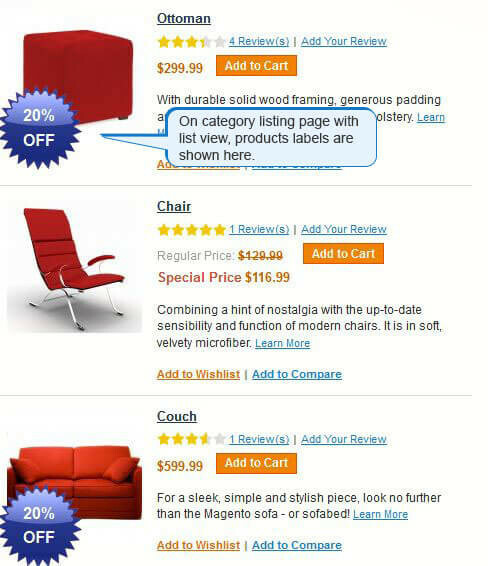 Category Product Label and Product View Page can be customized using custom rules. Display of Labels based on different users, special price, stock status. 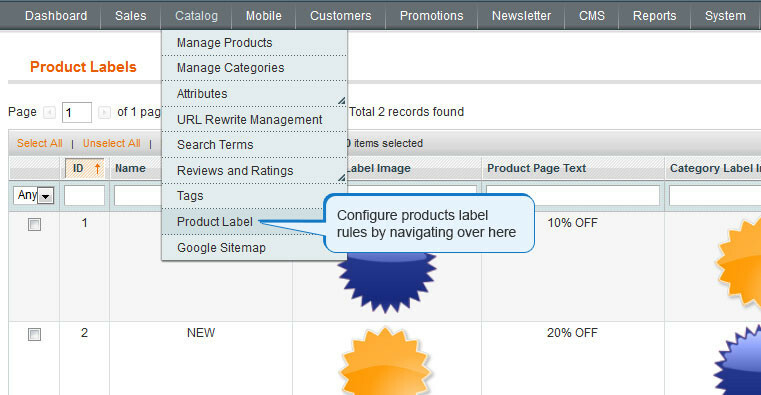 Priority of the rules can be set for product label having more than one rules. Multiple Rules can be managed using Rules form. The best thing is that, you can upload your own images for the catalog as well as product labels in your own way; either you can upload the images or mention the path. Some program labels are set to appear only when special price is set. There are nine predefined label positions and the names are the top left, middle left, bottom left, top center, middle center, bottom center, top right, middle right and the bottom right. There is an option for label customization for all the products. You can select the position of the label with the help of the live preview selector. You can also make special label for new products. This extension supports all the major browsers like Safari, Google Chrome, Firefox 2, Firefox 3, Opera, IE6, IE7 and IE8. So what are you waiting for? 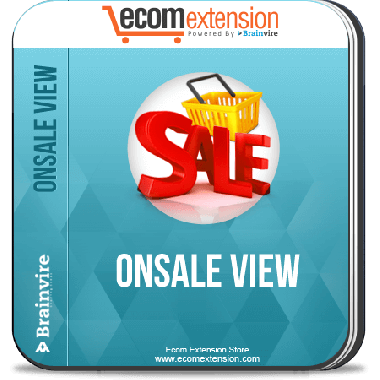 Hurry up and avail these unique features of On Sale Extension today to attract maximum number of crowd and boost your store sales.